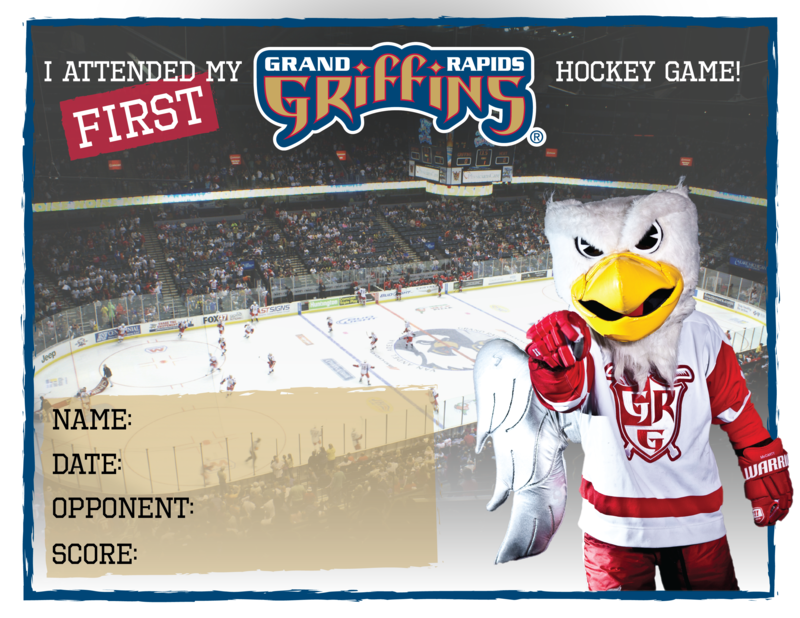 What you love most about working for the Griffins: Working with new clients and meeting new people every year. Favorite all-time Griffins players: From when I have been here, Nyquist and Tatar. Best thing about your job: I love meeting new people and traveling around doing it. The Griffins are very family oriented and I love that too and so does my family. Personal/professional hero(es): My wife and grandparents are my personal heroes. Professional would probably still be Stevie Y. As a child, you dreamed of becoming: An NHL hockey player, an MLB player, you name it I dreamed it. Current dream job: Currently I'm living it. I love what I do and where I am at and that I didn't have to leave home. You never know what the future holds though. If you could trade places for a day with another occupation/person, what/who would it be? Miguel Cabrera. I would love to be one of the most feared hitters in baseball. Proudest professional accomplishment: Every time I bring a renewal back I am proud of it. Most memorable on-the-job mistake/embarrassing moment: Too many to count. Most exciting/unique thing you’ve done or place you’ve visited: My wife and I went to the Bahamas. That was fun! Disney is also an every other year thing. That is exciting as well! Hidden (or not so hidden) talents: None, really. An interesting fact about you: I'm double jointed. Favorite website: Don't have one. ESPN? Favorite recreational activities/hobbies: Playing with my kids. Time goes by so fast and they grow up too quickly. I have plenty of time to do things later in life, but only this time right now do I have my kids at the ages and stages they are. I wouldn't want to miss it.